Salt Lake City, Utah – February 5, 2015 – Tarts Sensors (http://www.tartssensors.com) today announced the release of a new water detection rope sensor. The wireless water rope sensor detects conductive liquids anywhere along the length of a 10 foot detection rope by using two wires covered with conductive polymer. When water or conductive liquid contacts the rope, the sensor will immediately turn on the RF radio and wirelessly transmit the data to the gateway (Arduino shield, Raspberry Pi plate or BeagleBone Black cape). The sensor rope dries quickly allowing the sensor to reset for next use. The sensor comes with 10 feet of detection rope and can be expanded up to 100 feet by simply clicking additional 10 foot sections of water detection rope together. 10 ft. lead and 10 ft. water detection rope. Immediately detects water anywhere along rope. Expandable up to 100 ft. of detection rope. For more information on Tarts Sensors visit the Website at http://www.tartssensors.com. Salt Lake City, Utah – January 20, 2015 – Tarts Sensors (http://www.tartssensors.com) today announced the release of a new Internet of Things (IOT) Gateway. The new gateway allows developers to create their own wireless sensor network solutions. The device has two communication protocols and uses a simple UART connected directly to the wireless gateway’s PCB port interface. This solution provides easy access to the gateway, the functions it performs, and to wireless sensor data. The gateway works with over 20 different types of wireless sensors currently available on www.tartssensors.com. Salt Lake City, Utah – January 14, 2015 – Tarts Sensors (http://www.tartssensors.com) today announced the launch of their company. Tarts Sensors allow both developers and hobbyists the ability to develop wireless sensor networks with customizable features and behaviors. By simply choosing a wireless sensor gateway for one’s favorite development platform (Arduino, Raspberry Pi or BeagleBone Black) and any of over 20 different types of wireless sensors, the options are limitless for what can be monitored. Starter code and library files are also available from the Tarts Sensors website. 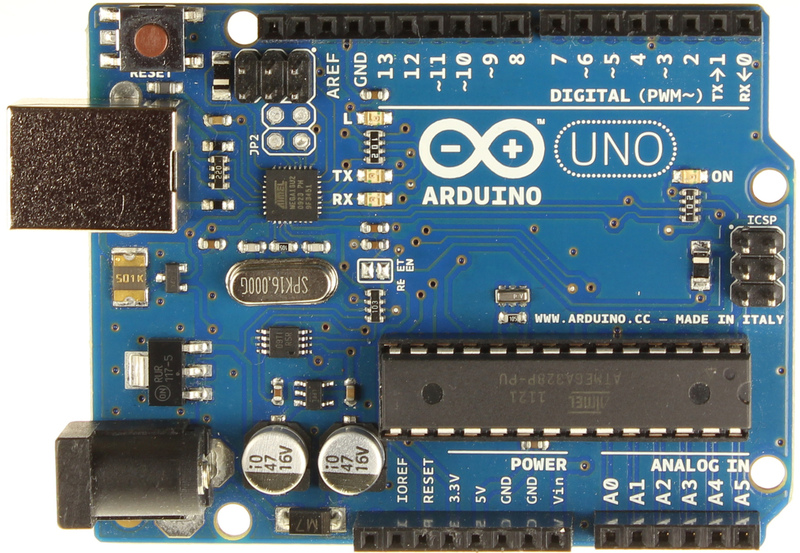 Jon Brodkin of Ars Technica conducts a Q&A with Massimo Banzi as Arduino’s rise continues. While Arduino has been around since 2005, the Raspberry Pi has been the hot platform for hobbyists over the past 18 months. But the Pi’s hardware isn’t open. You may have noticed that Banzi spoke positively about the BeagleBone even though it’s ostensibly an Arduino competitor, made by the BeagleBoard.org foundation and CircuitCo. 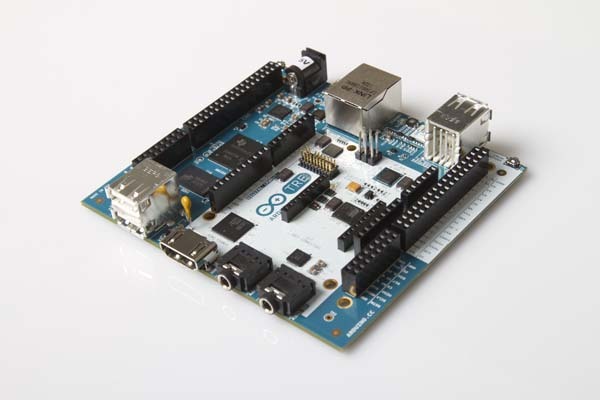 The platforms share the same open hardware philosophy, and they recently collaborated to build the Arduino Tre, scheduled to be released in spring 2014. The Arduino Tre and BeagleBone Black both use a 1GHz Sitara AM335x ARM Cortex-A8 processor from Texas Instruments. BeagleBoard.org co-founders Gerald Coley and Jason Kridner helped the Arduino team design the hardware and software for the Tre, according to Senior Embedded Systems Engineer David Anders of CircuitCo. Like the BeagleBone, the Tre is manufactured by CircuitCo. The collaboration “began as a discussion about how to introduce users (not just students, but also artists, designers, sociologists, and anyone who doesn’t come from a CS/EE background) to what embedded Linux offers without assuming that they know Linux,” Anders told Ars. Software will also be portable between the two platforms. “The Arduino Tre does contain the essential core of a BeagleBone Black, and we are working to standardize the default distribution between the two platforms, which would provide easy transition between working on either platform,” Anders said. In another development important for open source hardware, the creators of BeagleBoard andArduino have each developed platforms containing Intel processors for the first time. 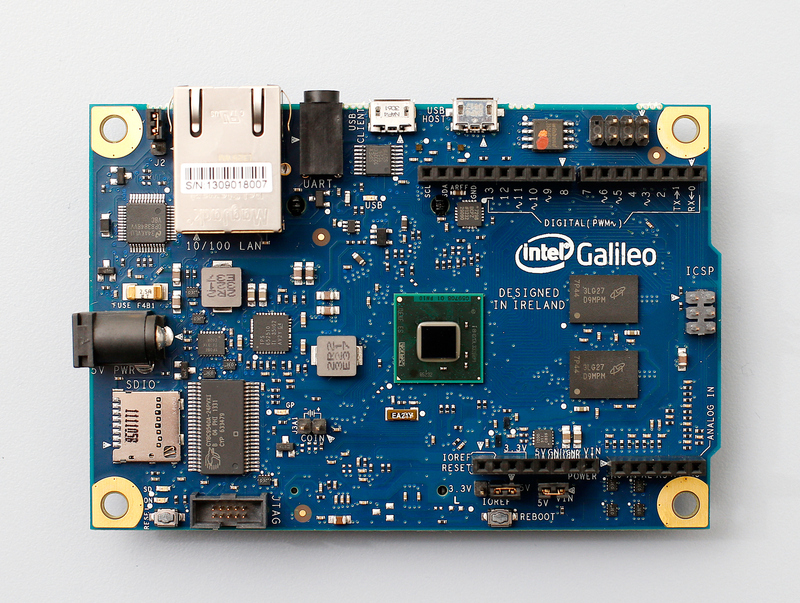 After the Minnowboard’s release, Intel teamed with Arduino to create the Intel Galileo, due out next month for $60 or less. Banzi co-developed Arduino while teaching at a design school in northwest Italy, simply because there weren’t any good hardware options for his students. “We had to figure out something that would be simple, cheaper, USB plug and play, and you could program on Windows, Mac, and Linux,” he said. There are about a million official Arduino boards “out in the wild” and perhaps several million more of the unofficial variety, he said. Arduino is trademarked—even though it’s open hardware, makers of new products should “explicitly say that you’re not connected to Arduino and your product is a derivative,” the company says. A company called Seeed Studio has done a good job making products that are compatible and respectful of trademarks. But there are many bad apples, which Banzi has catalogued on his website. Beyond that problem, pretty much everything is going great for Arduino. The new Intel- and ARM-based Arduinos take their place alongside existing boards like the Arduino Uno, based on the ATmega328 8-bit microcontroller. The Intel Galileo runs a stripped-down, custom version of Linux and is ideal for building 3D printers or applications that are part of the “Internet of things.” That includes home automation applications and wireless sensor networks. It’s not clear whether the Intel Galileo or the Arduino Tre is more powerful, as Banzi said no benchmarks have been run to compare them. They have different capabilities and tradeoffs, though. The Tre can run a desktop and is thus suitable for applications where you need time-sensitive I/O operations and a graphical interface, such as Kinect-like sensors. The Galileo opens Arduino up to the world of x86 applications, but it lacks a video card and is imagined as a platform for applications that don’t need a desktop interface, Banzi said. What’s significant is that Arduino has a piece of hardware for almost every use case.